We are excited to announce our two awesome charity partners for Gen Con 2019, Special Olympics Indiana and Game to Grow! We love the dedication and passion each of these organizations put into their work in local and larger communities. As in years past, we will have several opportunities to raise funds at the show—morning dice rolls, the auction, Cardhalla destruction, and more! Read about each of the charities below, and check out gencon.com for further information. Special Olympics Indiana is a non-profit organization that is a part of the global Special Olympics movement, using sport, health, education, and leadership programs every day around the world to end discrimination against and empower people with intellectual disabilities. Founded in 1969 and celebrating its 50th anniversary next year, Special Olympics Indiana has grown to more than 14,000 athletes and unified partners in virtually every county throughout the state. With the support of nearly 10,000 coaches and volunteers, Special Olympics Indiana provides year-round sports training and competition in more than 20 Olympic-type sports for children and adults with intellectual disabilities, at no cost to the participants. Learn more by visiting www.soindiana.org. Game to Grow is a 501(c)(3) non-profit organization founded in 2017 on the belief that games of all kinds have the power to improve people’s lives. Game to Grow’s weekly therapeutic social skills groups help young people become more confident, creative, and socially capable using tabletop games, most notably Dungeons and Dragons. The founders and lead facilitators Adam Davis and Adam Johns use their years of experience in couple and family therapy, drama therapy, and education to promote social growth among youth in a fun, safe environment. For more information, head over to gametogrow.org. Check out the 2018 Holiday Catalog from Upper Deck! The holidays are approaching and we have a few gift ideas for you. This 2018 Holiday Catalog will help you find the perfect gift for your friends, family and even yourself. Upper Deck is known for thematic licensed games as well as original titles. Marvel fans will also love Upper Deck’s Gallery Prints and Trading Cards. Get free shipping on orders over $35 during the holidays! Wish you could experience Gen Con for more than four days a year? 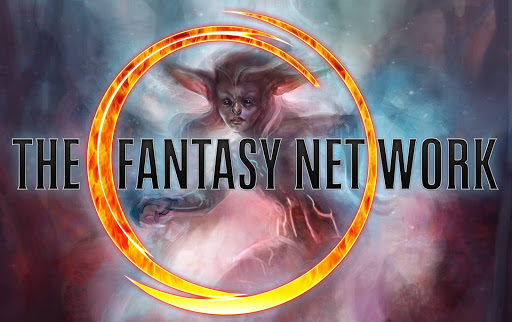 Catch everything that you missed on Gen Con’s new premium video channel on The Fantasy Network, featuring dozens of videos from Gen Con 2018—including live gaming with Matt Mercer, interviews with Jordan Weisman, speeches from Peter Adkison and Shanna Germain, and loads of new product demos! Come for the year-round Gen Con experience, streaming free on iOS, Android, Roku, and Amazon apps or directly in your browser, then stick around for loads of original fantasy series and movies from the Dead Gentlemen, Arrowstorm Entertainment, Zombie Orpheus, The Forge, and many more of your favorite filmmakers.